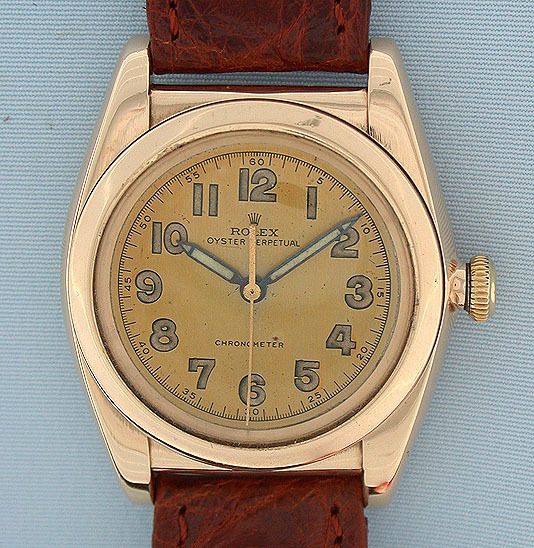 Rolex 14K gold Bubbleback Perpetual Chronometer vintage wrist watch circa 1945. 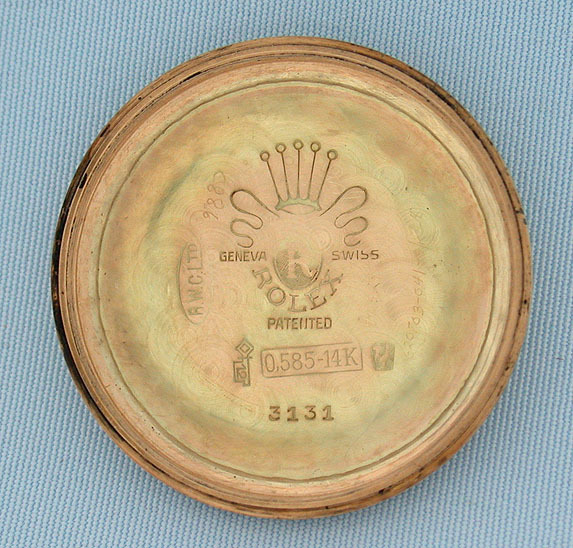 Original gold dial with minor flakes. 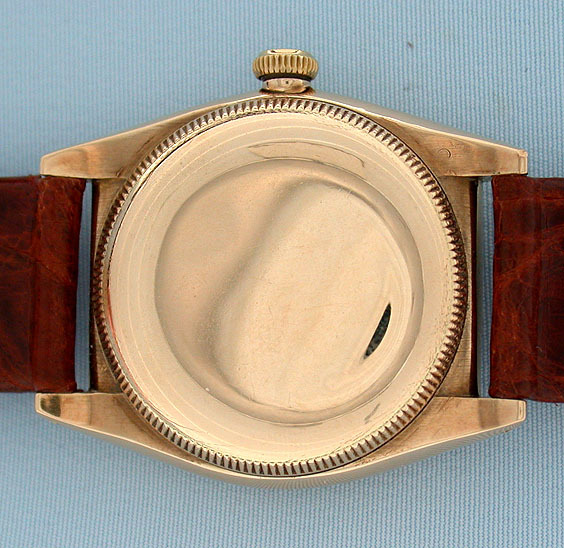 Spot between 12 and 1 is a camera reflection. 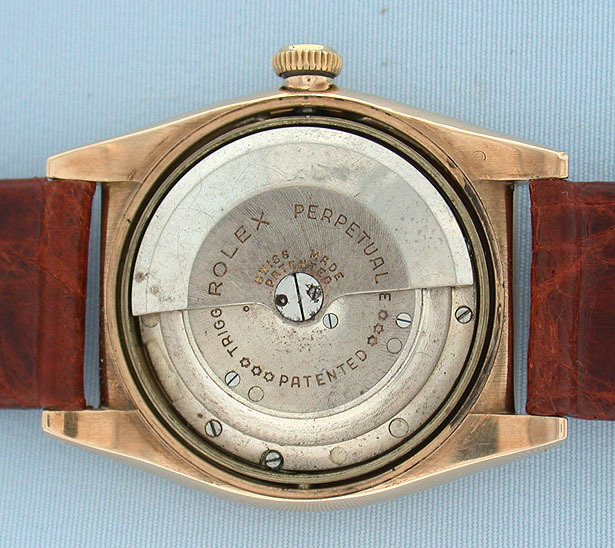 Water resistant case with original Rolex crown. 17 jewel 7 adjustment movement missing wishbone regulator.